How to Change Registered Mobile Number in YES Bank ? 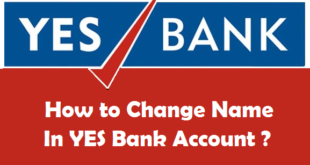 Home / Banking / How to Change Registered Mobile Number in YES Bank ? Change Mobile Number in YES Bank : YES Bank is a renowned bank in India which has a lot of banking features and options for its customers. For all the transactions you make using your YES Bank Account, you receive SMS Alerts on your mobile number registered with YES Bank. If you have changed or lost your Mobile Number, you would not be able to receive SMS Alerts. In this case, we advice you to change your mobile number in YES Bank Account to be able to receive SMS alerts. Changing your Mobile Number in YES Bank is quite an easy process and its doesn’t take much time. Earlier we have also discussed about the procedure to change Address in YES Bank Account and to transfer YES Bank Account. How to Change your Registered Mobile Number in YES Bank ? If you have registered your Mobile Number while opening a new Account in YES Bank and now you want to change YES Bank registered mobile number, you must first check if your new number is currently active and working. Do remember that if your mobile number is changed in YES Bank Account, your SMS Alerts will be sent to your new number only. 1) Visit the YES Bank Home Branch along with the self attested copy of your Proof of Address like Aadhaar Card, Passport etc. and the originals. 2) Meet the Accounts Executive and ask for KYC Details Change form or Mobile Number Change Request form. 3) Fill up KYC Details Change Form completely and do remember to put your new Mobile Number wherever asked . Don’t forget to put your Signature wherever asked for. 4) Finally, Submit the duly filled up form with your Proof of Address (if needed) to the Accounts Executive. Accounts Executive will validate your form and details and upon complete validation your YES Bank registered Mobile Number will be changed in the bank records. Before you leave the YES Bank branch do confirm from the Accounts Executive that your new mobile number has been updated or not. Did you know ? If you do not use your YES Bank Account for a long time it gets inactive or dormant. 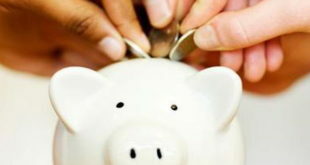 Check out the complete procedure to reactivate dormant account in YES Bank. Also, if you haven’t linked your Aadhaar Card with Bank Account, don’t forget to check out the process to link Aadhaar Card to YES Bank Account. You might have seen that the process to change registered mobile number in YES Bank is quite an easy one. It doesn’t take more than 10 minutes to complete this process once you visit the YES Bank Branch. Do remember that this will not change your mobile number in YES Bank for OTP i.e., this process will only change number for SMS alerts. In order to change your Mobile Number for OTP, you need to fill up a separate form for updating your Mobile Number for YES Bank Internet Banking. Previous How to Change Registered Mobile Number in IndusInd Bank ? Next How to Change Registered Mobile Number in Kotak Mahindra Bank ? 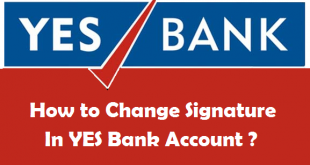 How to Change your Name in YES Bank Account ? 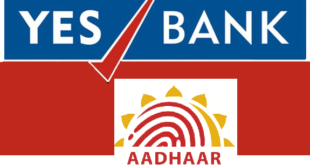 How to Link Aadhaar Card to YES Bank Account ? 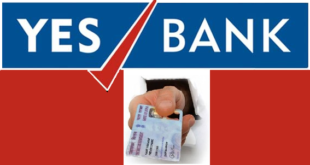 How to update PAN Card in YES Bank Account ? 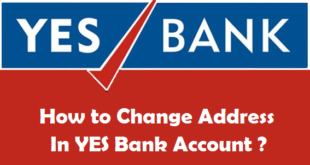 How to Change your Address in YES Bank Account ? 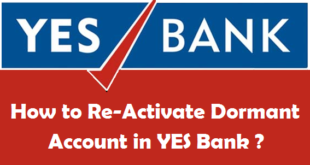 How to Re-Activate Dormant Account in YES Bank ? How to Add Joint Account Holder(s) in YES Bank Account ?